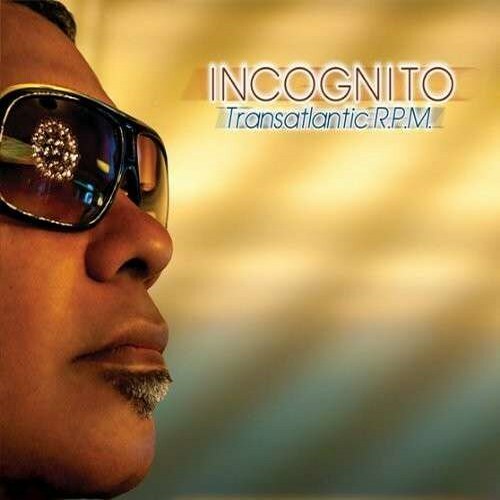 Starting as best kept secret the group Incognito has reached meanwhile cult status worldwide. Fourteen studio albums, thirteen compilations, live or remixed albums and several site projects. Fans of Incognito really haven’t to complain about a lack of activity. The group is constantly touring around the globe and isn’t to shy to play in stadiums or small clubs. The band’s front-man, composer, record producer, guitarist and singer is Jean-Paul ‘Bluey’ Maunick. He assembles around him a variety of musicians open for new style and streams. The new album Transatlantic R.P.M. was recorded in studios in London and California, which explains the title of the new album. “It’s about actually making that physical journey to America to collaborate with those artists from my record collection who came over from there, brought their music to the UK, and really influenced what we did back in the day,” comments Bluey.